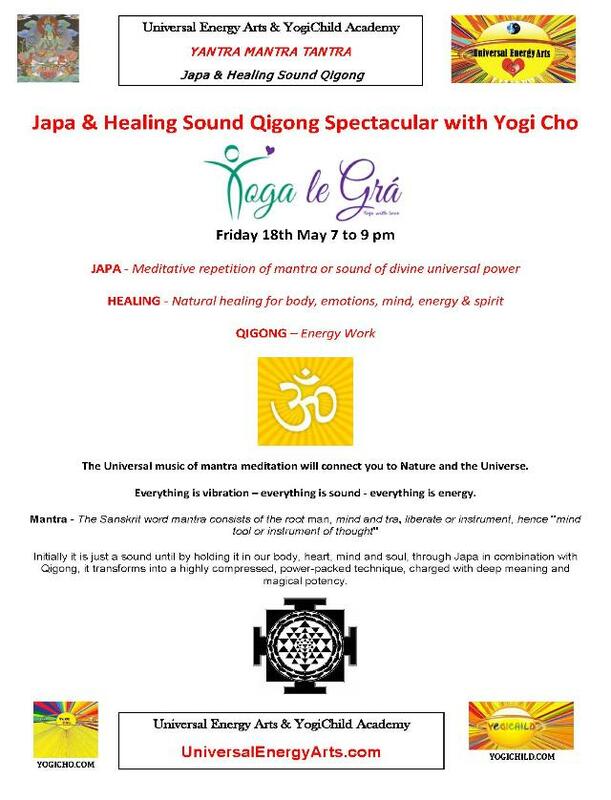 Yogi Cho (aka Simon Skinner) is the Principal of the Universal Energy Arts & YogiChild Academy. Yogi Cho started his Martial Arts practice in Glasgow in 1978 and won his Judo Black Belt in Nagasaki in 1989. Since then on his many travels he has accumulated a wealth of Yogic, Buddhist, Tantric, Taoist and worldly wisdom and ways from ancient sages and saints as well as contemporary masters. 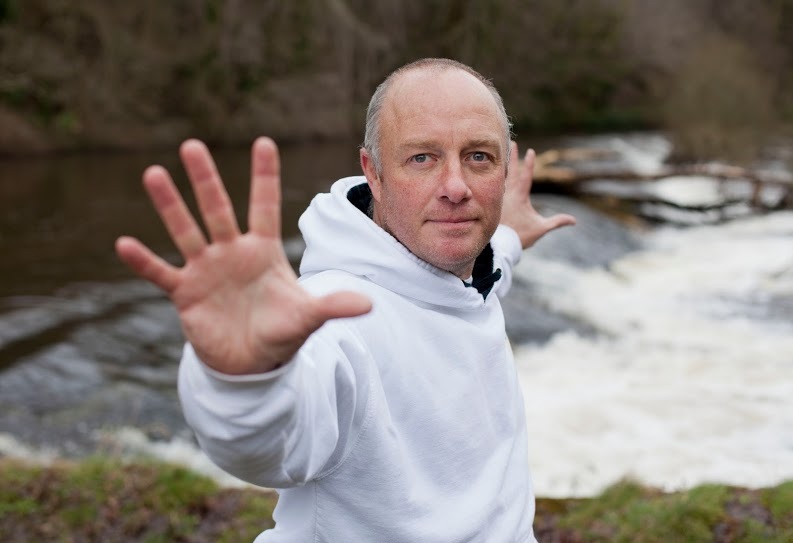 He has been a Martial Arts & Yoga practitioner for over 35 years and is a teacher of Tai Chi, Chi Kung/Qigong, Yoga, Sound Healing/Healing Sounds, Ling Chi Healing Art and Meditation. He is dedicated to the physical, emotional, mental, energetic and spiritual growth of all the beings of planet earth! His inspiration and vision is to share these Arts and Sciences for Living, which are designed for the evolution of the mind, body and spirit of teacher and student, for all ages and needs, in a fun and joyous way. "Be More Alive! The Yogi Cho Way : Handbook for Humankind"
and "The Golden Dragons & The Wish-Fulfilling Jewel - The Power Animals, Directions and Healing Sounds of YogiChild"
He has received in-depth training in . 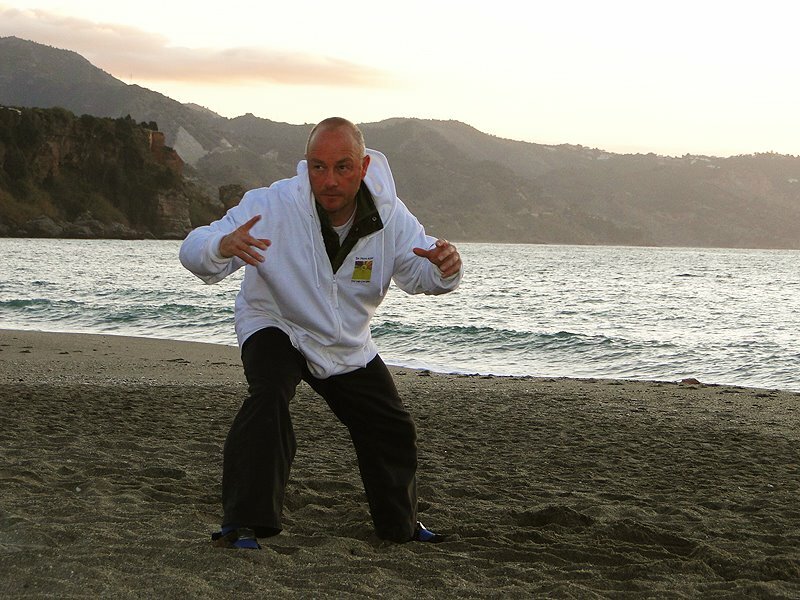 He is a qualified teacher of Yoga, Tai Chi, Qigong/Chi Kung, Meditation and is a Ling Chi Healing Art practitioner. Yogi Cho aspires to follow the 8 Fold path of Patanjali. 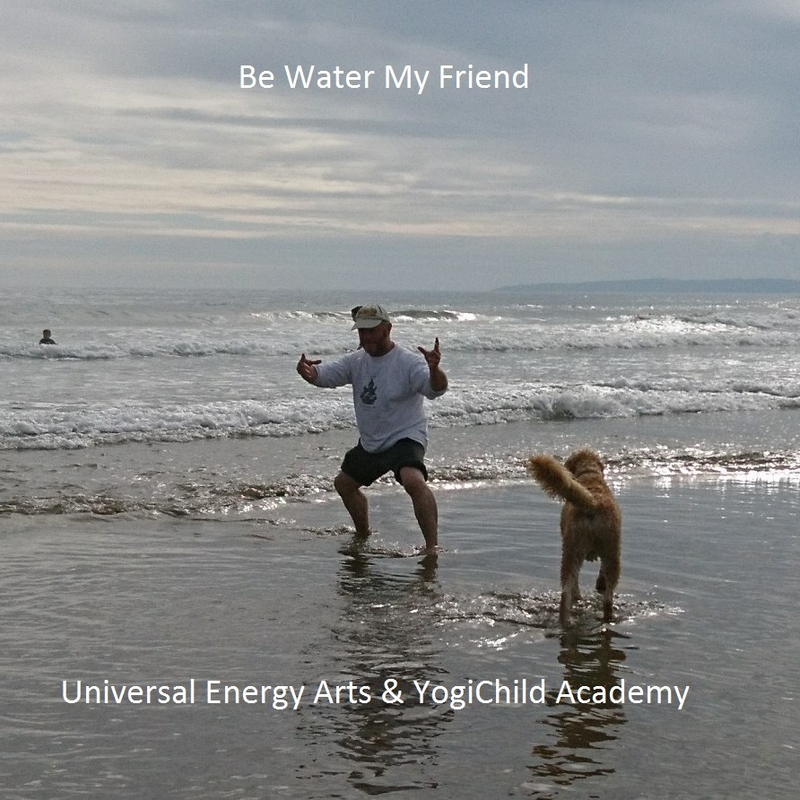 The Universal Energy Arts are Infinite Tai Chi, Chi Kung (Qigong), Yoga, Healing Sounds, Meditation & YogiChild. Simon is registered with the Irish Teaching Council. Standing Like a Tree Chi Kung/Qigong or Zhan Zhuang. Zhan Zhuang pronounced “Jan Jong” in Mandarin or “Jarm Jong” in Cantonese, means standing like a stake, a post or like a tree. It is a Standing Meditation that enables us to be at one with the Pure Nature Energies as well as cultivating a strong connection to the Higher Energies of the Universe. This form of Standing Like a Tree is a special method of spiritual training in Taoist martial arts. This is a fantastic way to learn to hold and cultivate chi. 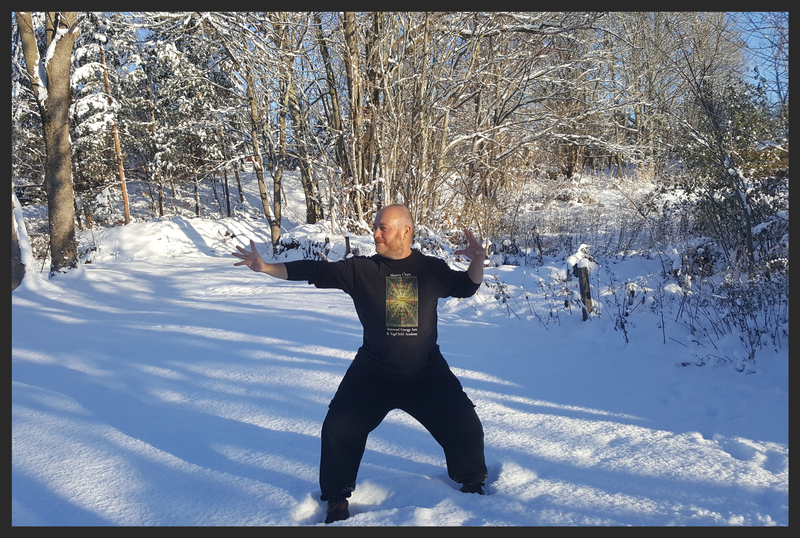 In the sequence we are deeply rooted in the Earth below, standing in a strong Tai Chi stance with our head connecting to Heaven above and with our arms and hands like powerful branches that hold the chi and enable us to grow into our own spaciousness. This style of Standing Like a Tree has a variety of positions and really helps to harmonize, purify and empower our body, spirit, emotions, mind and major energy centres. Being Strongly Grounded assists us to hold the Higher Energies of the Universe. The three treasures of the Universe – Heaven, Earth and Humankind. The three treasures of Humankind – Jing, Chi & Shen. Cultivate Power, Love and Wisdom.